The US Navy awarded Geodesicx and six other companies an Indefinite Delivery/Indefinite Quantity (IDIQ) contract to support SSC Atlantic’s Decision Superiority Portfolio. The contracts will provide full system lifecycle support including research, development, test, evaluation, production and fielding of sustainable, secure, survivable, and interoperable Command, Control, Communications, Computers, Combat Systems, Intelligence, Surveillance, Reconnaissance (C5ISR), Information Operations, Enterprise Information Services (EIS) and Space capabilities. The DS Portfolio is dedicated to engineering and development of command and control (C2) systems and application development for command, control, and decision support systems to enable utilization of information and decision aids to support decision making. The contracts have the cumulative value of $98,764,531. 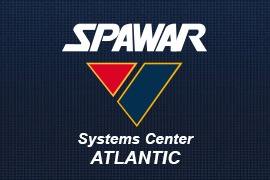 If all options are exercised, work could continue until December 2017, and will allow Geodesicx to deliver innovative, best-value C5ISR products, services, and total solutions to the US Navy and the SPAWAR community in Charleston.